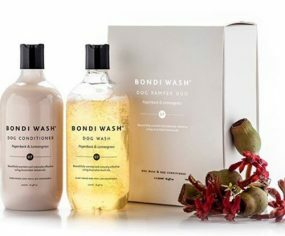 With possibly the coolest name for a pet boutique, DOGUE first opened its doors in Sydney’s iconic Bondi way back in 1998 – the unique and fashion conscious store initially offering designer dog fashion and accessories for Sydney’s hippest dogs. 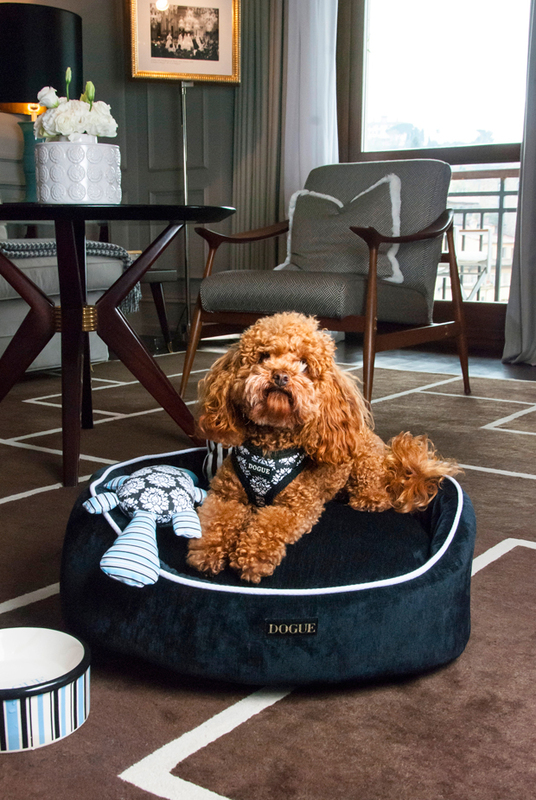 From these stylish yet humble beginnings, the DOGUE empire has since grown into an international brand – featuring 4 DOGUE stores, a country boarding retreat, doggie day spas, and of course, their unique in house label that produces on trend collars, fashion, beds and dog accessories for pups worldwide. 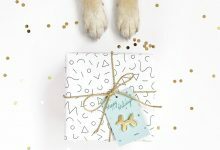 In recent months DOGUE has also become a franchise, with dog lovers across the globe champing at the bit to open their own DOGUE stores with DOGUE Franchise. Age: can I answer in dog years? What was your first job? Does it relate to your current career at DOGUE? My first job was as a switchboard operator at the Inter Continental Hotel in Sydney. No, I can’t say it related at all to the dog world, but it did give me good phone manners. 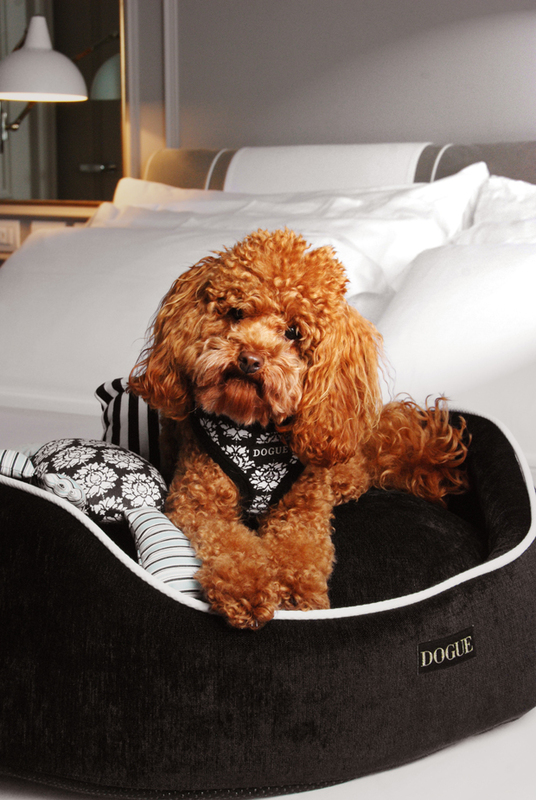 DOGUE is one of Australia’s leading pet brands and is now available internationally. Where did it all begin? What sparked the initial idea and what were the first steps in making it a reality? The idea for DOGUE began on a cold Winter’s day when I set out to buy a jumper for my dog Gulliver. After visiting several pet stores I realised there was no such thing, well nothing I would put my beloved Gulls in, so I went home and knitted him one. For the next few weeks as Gulliver strutted his stuff in his new funky jumper I was consistently stopped in the street to be asked where he had got his knitwear from. The idea just hit me, there was a untapped market for cool and stylish stuff for dogs and that week I starting working on the concept of DOGUE. My dream was to open a doggie boutique, a shop solely catering to every dog’s whim, a shop where dogs and their owners would be welcomed and find all sorts of fun, fresh, stylish products never seen in one shop before. I set about sourcing products from pet wholesalers but in 1998 this was not easy. 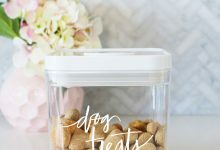 I decided that if I were to have the shop I visualised I would have to design my own products and have them made locally, so from the very beginning I was thrown into designing products for DOGUE. 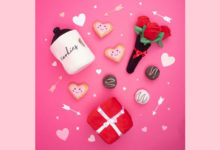 Having products made for one store was a challenge. I approached creative people, friends and professionals who could adapt their craft into dog products. I had a guy well known for his costume jewellery and stylish belts so he manufactured collars and leads for me. 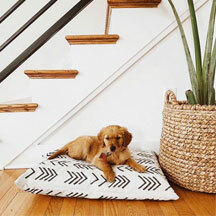 I approached potters to create fun dog bowls and seamstresses to produce stylish beds and fashionable clothes. I even had some home cooks cooking up dog treats and healthy takeaway dinners. It was an incredible experience and I learned so much along the way. Tell us about the dogs behind the inspiration of DOGUE. I know it’s hard to believe but as a child I was petrified of dogs and this continued into my 20’s. My flat mate and good friend was desperate for a dog and was determined to get one despite my fears. So I decided to start researching dogs so I could suggest a breed to him that I would not be scared to come home to. I did lots of research, spoke to many breeders and visited several pet stores. The more I learned about dogs the more comfortable I became and it wasn’t long before LPM, Little Pups Mate was welcomed into our household. This four legged flat mate turned my life around…he showed me how great life can be with a dog in your home. On our walks he introduced me to all kinds dogs, big and small and took away all my fear. I am forever grateful to LPM, his presence changed my life and set me off on a journey I am so grateful for. Of course the day came when my flat mates, two and four legged, and I went our separate ways and I knew the first thing I had to do was get a dog of my own. This was when I found my Gulliver. Gulliver was my first pet and I adored him, he was my side kick and came everywhere with me. We were together for 15 years and were a great team. He inspired me daily and taught me so much about myself. He gave me the confidence to follow my dreams and was my inspiration for DOGUE and always will be. 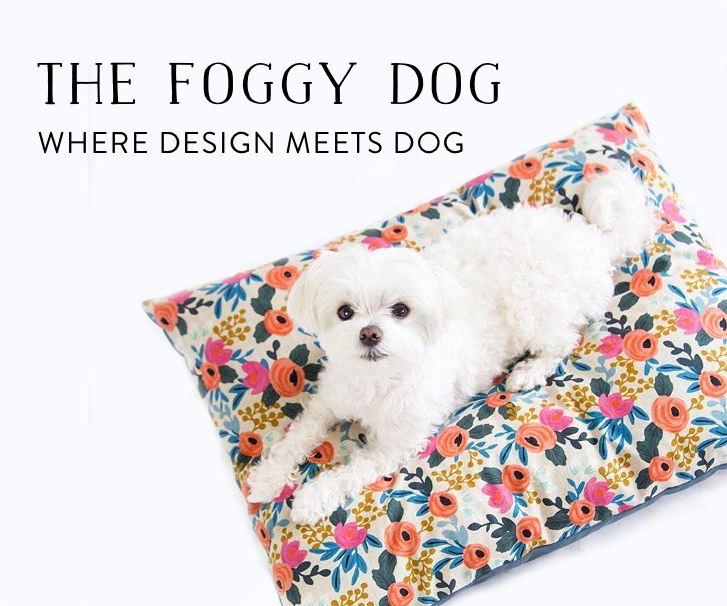 What is involved with the design process of each piece in the DOGUE collection? I didn’t come into DOGUE with a design background, I just learned the process as I went along. I trusted what I liked and what I wanted for my own dog. For me, each product begins with a drawing. I am inspired by patterns and colours and consistently take photos of things I like. 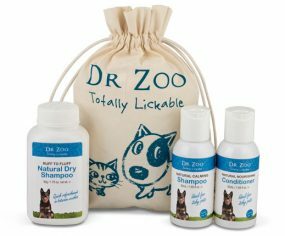 It is amazing what you can work into dog products! Each product takes at least 6 months from the initial concept until I see it on the shelves. To keep our ranges unique, we design and manufacture all our own materials and print our own fabrics and this takes time. There is a lot of sampling and testing to ensure the sizes and quality are right. DOGUE is known for their classic pet pieces. How would you describe your sense of style? Fresh, fun and fashionable . 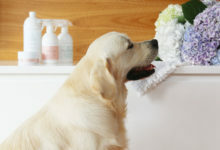 I love colour and pretty things and I think this shows in all DOGUE’s products. All pieces need to be comfortable, so dogs can be dogs. You’re currently based in Florence – one of the most stunning cities in the world. 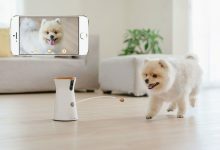 What inspired the move and how does it integrate with your work with DOGUE? We have been wholesaling DOGUE in Europe for several years now but it was challenging being so far away and in a crazily different time zone. With business running well at home, the time felt right for us to make the move and dedicate the time to building our brand Internationally. We decided on Italy as my husbands and our daughters could all get Italian passports, and this made the relocation process so much easier. We chose Florence, well because it’s Florence, and we couldn’t think of anywhere more beautiful in Italy to base ourselves. Florentines are synonymous for style and fashion, as are their beloved pooches, so I am inspired here daily. 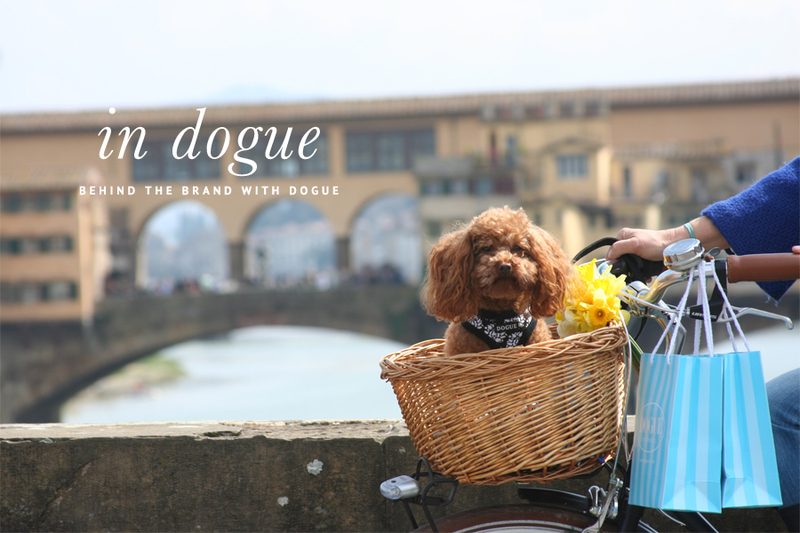 I am excited for the day I walk down a street in Florence and see a dog wearing DOGUE, hopefully now that’s not too far away. 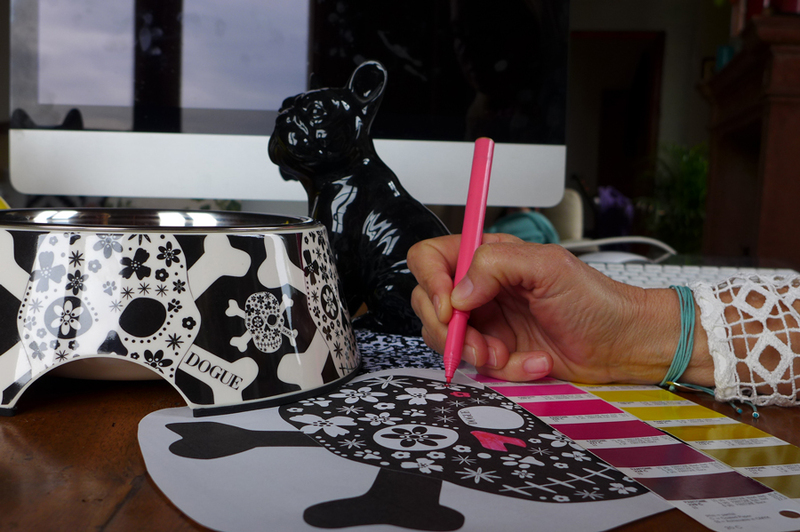 Our latest collection Skull & Dogbones is inspired by my love of sugar skulls. I have always been fascinated by them, I love their detail and the colour. They are scary and beautiful at the same time. Skulls are so popular right now and I thought it would be fun to add a little DOGUE and make our skulls cute and pretty. 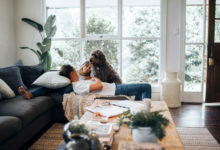 Do you have a pet friendly workplace? 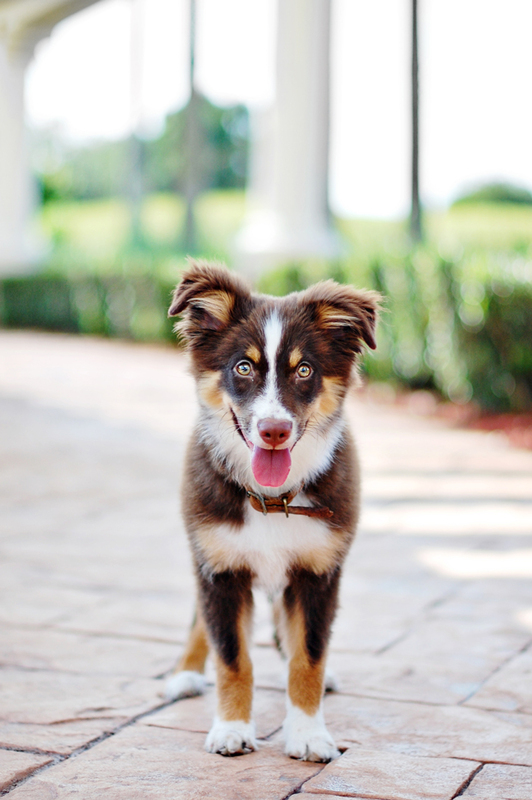 Of course, our motto is please bring your dog to work. Apart from bringing a beautiful energy to the workplace it ensures we have always an in-house model on call. Our Sydney office is complete with dog beds, water bowls, and toys all to make their day at work enjoyable. They play, sleep and sit on our laps whilst we work…in return they get us out for some fresh air throughout the day…all this makes it a happy place to come into every day. Unfortunately my dog Sly is not with me in Florence. He is currently managing entertainment at the DOGUE Gymea store. I miss him so much and it is weird not having the energy of a dog around me constantly. Luckily I have met lots of fantastic dogs here that are always up for a cuddle and a play. They are keen to spread the word of DOGUE and help me out with testing new products and modelling. What has been the highlight for DOGUE to date? Wow, there are so many, it is hard to choose one. DOGUE has grown in directions I would never of dreamed of 17 years ago. …Sitting in my DOGUE store on day 1 was huge for me, unforgettable. I only had one customer in all day and they brought one bowl, I was ecstatic. …Expanding the business into wholesaling and selling our products into other stores was a long process and it see it finally happen was so exciting. …Moving to Florence to grow the brand in Europe. 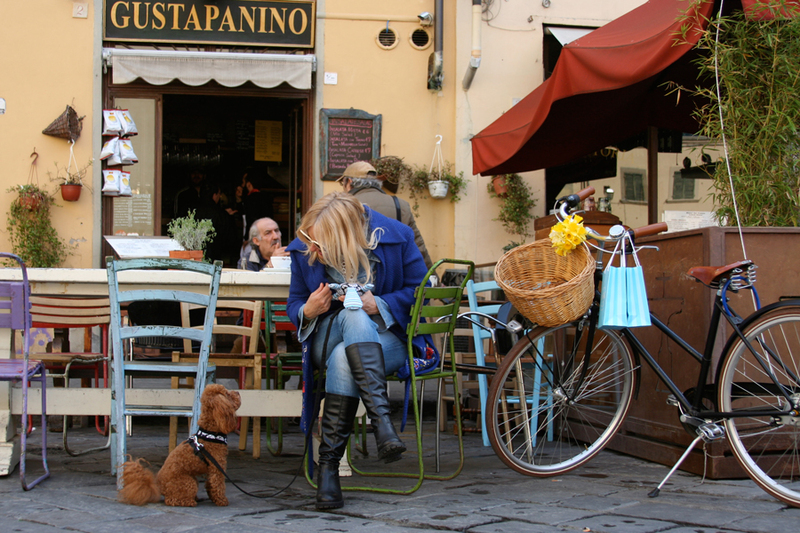 ….and then there the day I first saw a dog wearing DOGUE on the street..that was pretty cool! This still for me, makes me the happiest. What is #1 thing you wish you could have told yourself when starting out? You will always need more money!!! 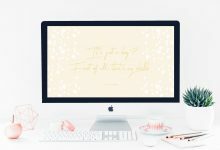 Running a business and having big dreams costs money, lots of money and there are always new costs you hadn’t planned for as the business grows. In the beginning I didn’t realise the importance of protecting your brand through IP Trademarks both in Australia and Internationally, this is vital and was a big expense for us as our name is so important. In the beginning I was so excited about my idea for DOGUE that I can’t imagine doing anything differently. I dove into my vision wholeheartedly as it felt so right. I learned many things along the way and of course made mistakes but I think this is just part of running your own business. You take risks and some of these lead to great things, some do not, but you just have to go with it. You can’t lose sight of what you are trying to do even if sometimes you have to change the way things are done. I know now the importance of making sure your making sure your local market is strong before expanding elsewhere and not growing too fast. You must trust your products, your brand and your instincts and you must listen to your customers, their feedback is so important. 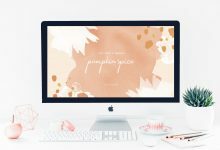 What advice do you have for other aspiring entrepreneurs and designers? Have a vision, believe in it and stick to it. Start with as much money as you can , this will make growth that much easier, cash flow can be a nightmare! Know your customer well, listen to their feedback…some of most valuable days of learning in the beginning came from hanging in the dog park asking questions. Be open to take others onboard to help you grow your business in the right direction, it is impossible to know how to do everything yourself. What has DOGUE got in store for the future? Our dream is always to keep extending the DOGUE product range so we can offer more DOGUE to our stockists and customers. 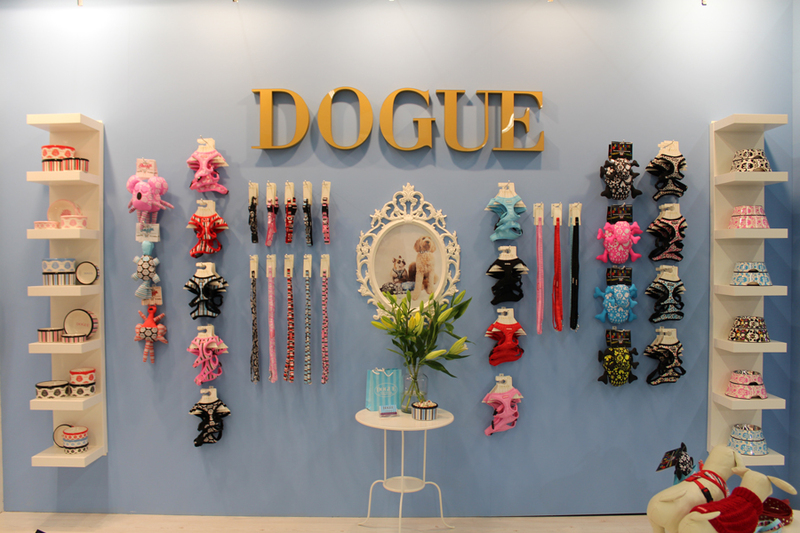 We are focused on growing internationally and look forward to seeing more DOGUE in stores around the globe. 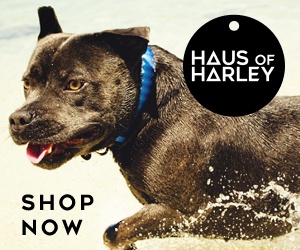 Our retail stores are now franchised so there will be more DOGUE stores opening across Australia. 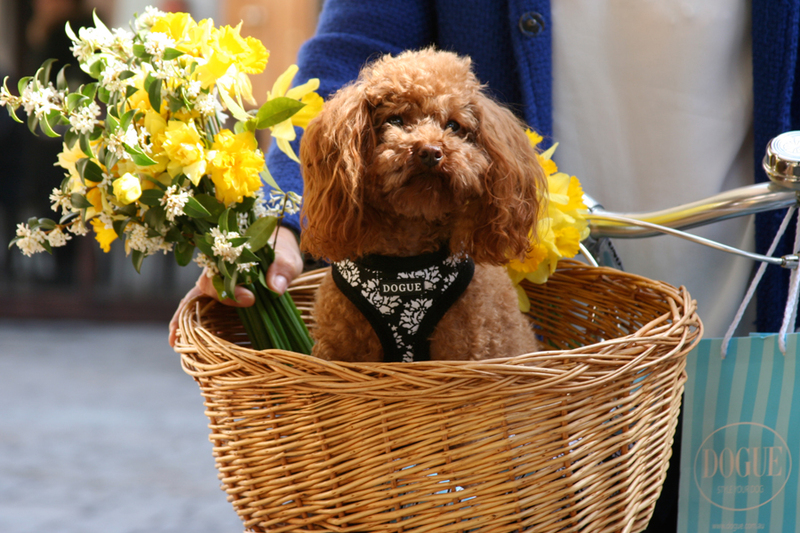 What are your top picks from the latest DOGUE collection? I have to say our latest range, the Skull & Dogbones collection is my top pick, I just love it. 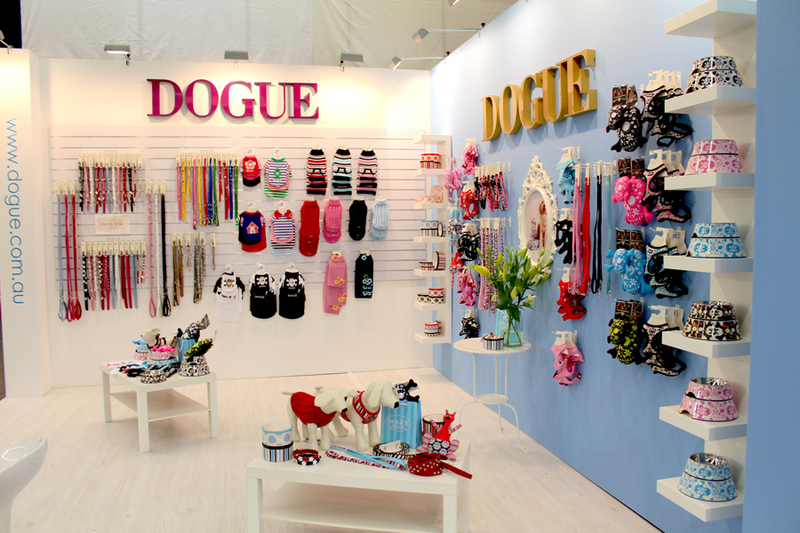 It is fun and colourful, street smart and pretty, everything I want DOGUE products to be. What an inspiration! I loved reading about Dogue and how the business started and grew. Living in the states I have not heard of Dogue before but I love the products and designs you showcased! Thanks! Thanks for your lovely comments Maureen. We hope to bring DOGUE to the States next year so look out for us. Inspirational! I loved reading about Simone Kingston’s journey from humble beginnings to a powerful brand. It sounds as though Simone has plenty more ideas brewing! How wonderful that DOGUE has given her family the opportunity to live in one of the most beautiful places in the world. Thanks Claire for your lovely words! I know, I feel so blessed that DOGUE has brought us to this incredible city, it inspires me daily. Fabulous to see a small Aussie brand kicking such big goals. Well done Simone for all that hard work over the years to build such a great brand. Congratulations on Europe! 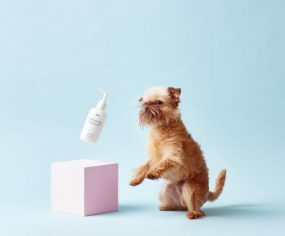 Mr PAW Dog Shampoo – We’re Loving this All Natural, Vegan range!